The now deadly storm Friederike is causing Dutch and German transport chaos after its hurricane-strength winds swept across northern Europe on January 18, 2018. 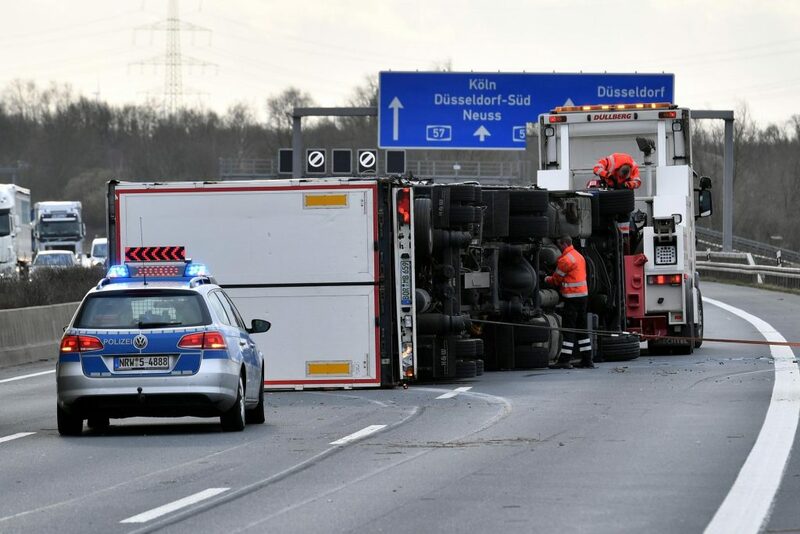 Facing gusts of up to 140km/h (90mph), Germany’s train operator Deutsche Bahn cancelled all long-distance services for the rest of Thursday. 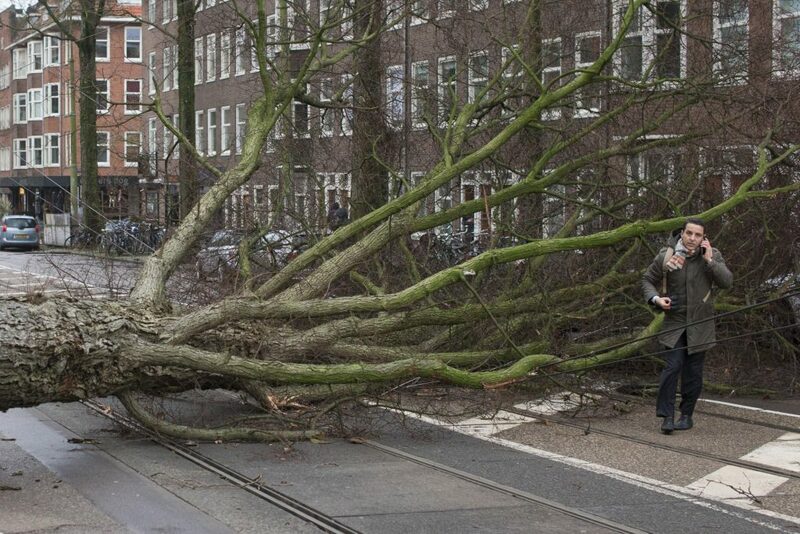 More than 300 flights were cancelled at Schiphol airport in Amsterdam and two of its three departure halls were closed after roof plates were blown off the terminal building. The storm, called Friederike in Germany, is due to cross the country from west to east before reaching Poland overnight. 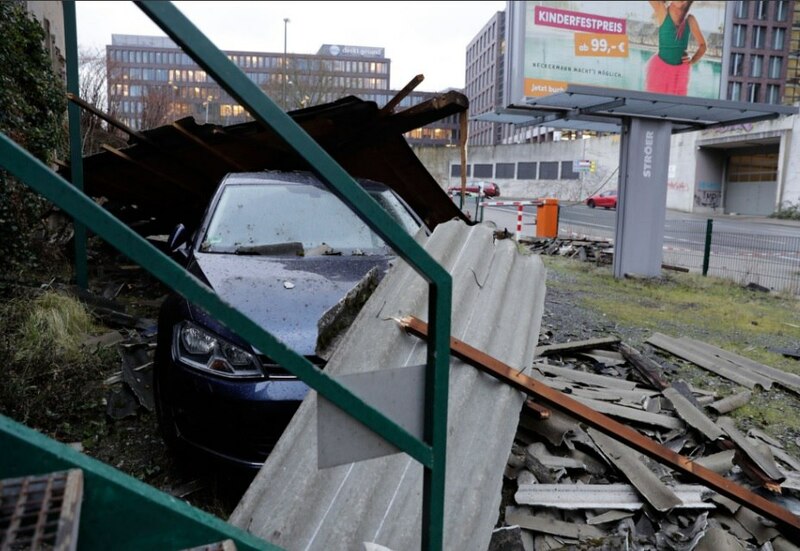 An emergency siren wailed in the city of Duisburg, warning residents that they should stay indoors. Many schools are closed. Police temporarily closed the centre of Almere, a Dutch city with about 200,000 residents lying just east of Amsterdam. 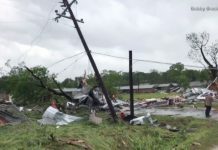 They tweeted an alert warning people to stay at home because of risk from the storm. 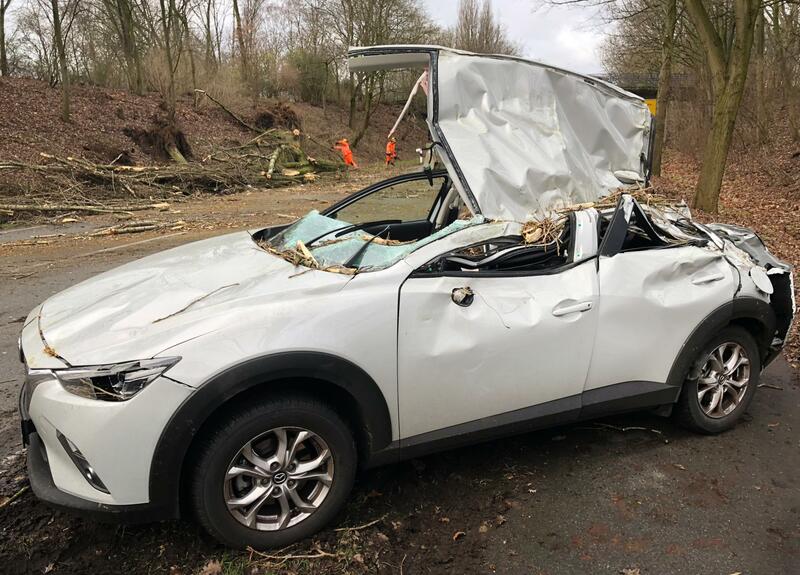 Three people died after being hit by falling trees and debris in the Netherlands and one in Germany. 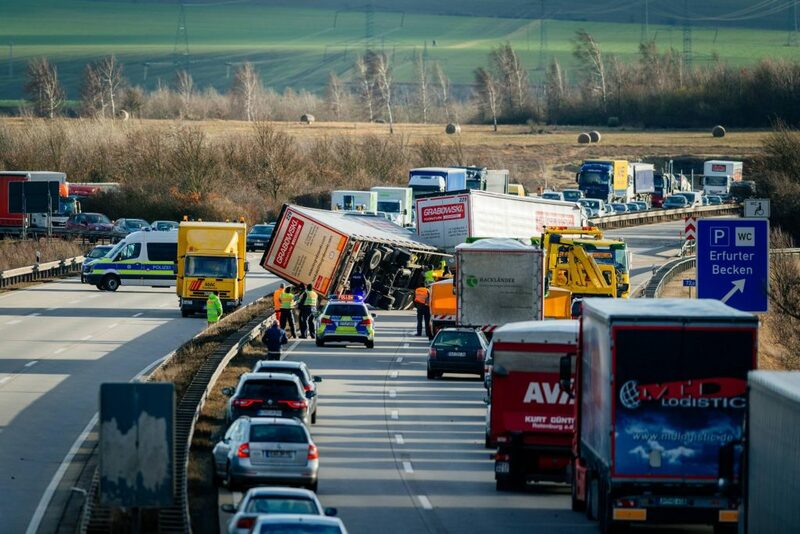 A second German was killed in a collision when his van was blown on to the wrong side of the road. 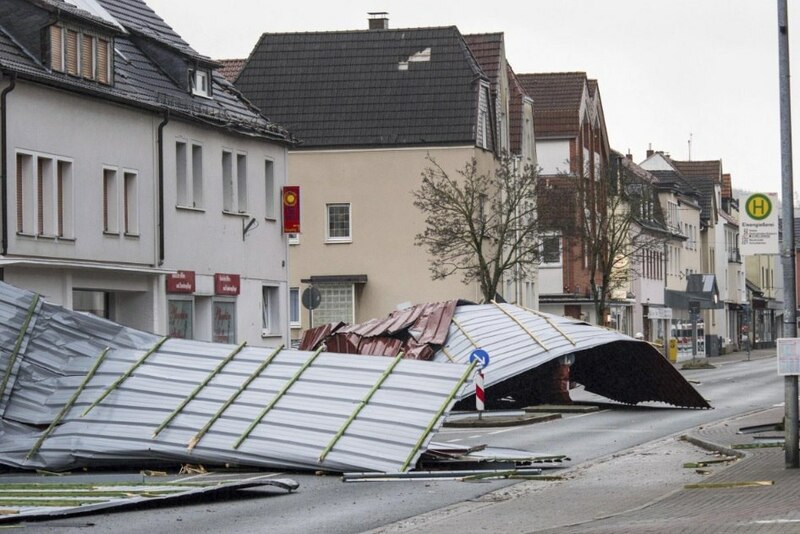 Facing gusts of up to 140km/h (90mph), Germany’s train operator Deutsche Bahn cancelled all long-distance services for the rest of Thursday. Any regional trains still running have cut their speed because of the strong winds. 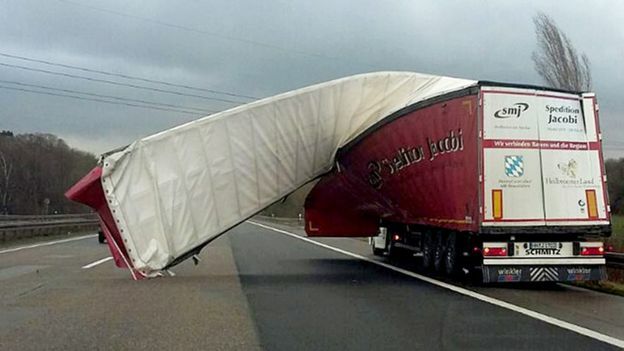 Flights at Schiphol airport in Amsterdam – one of the busiest in Europe – were briefly suspended and two of its three departure halls were closed after roof plates were blown off the terminal building. 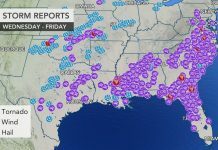 More than 300 flights were cancelled and the airport said passengers should check their flights status online or contact their airline. People arriving at Schiphol told reporters they had experienced rough landings with some passengers around them throwing up. 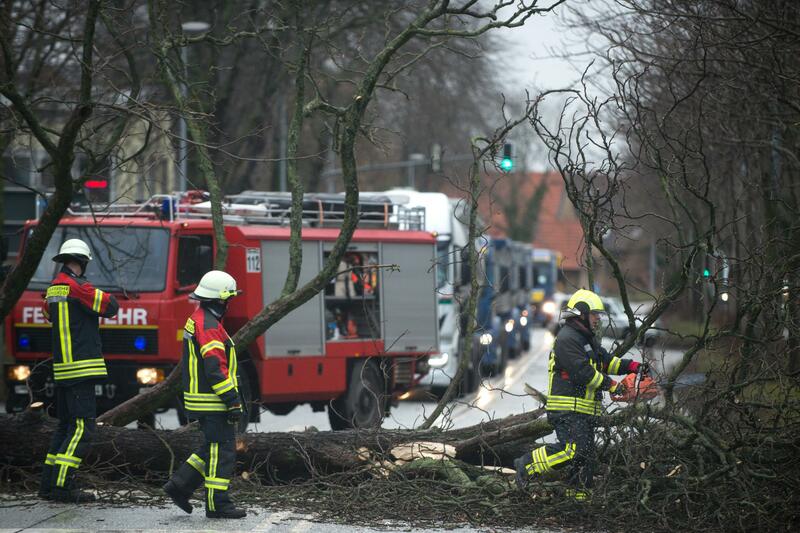 An emergency siren wailed in the city of Duisburg, warning residents that they should stay indoors. 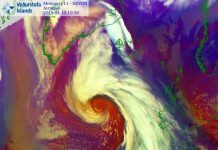 Many schools are closed. Police temporarily closed the centre of Almere, a Dutch city with about 200,000 residents lying just east of Amsterdam. They tweeted an alert warning people to stay at home because of risk from the storm. 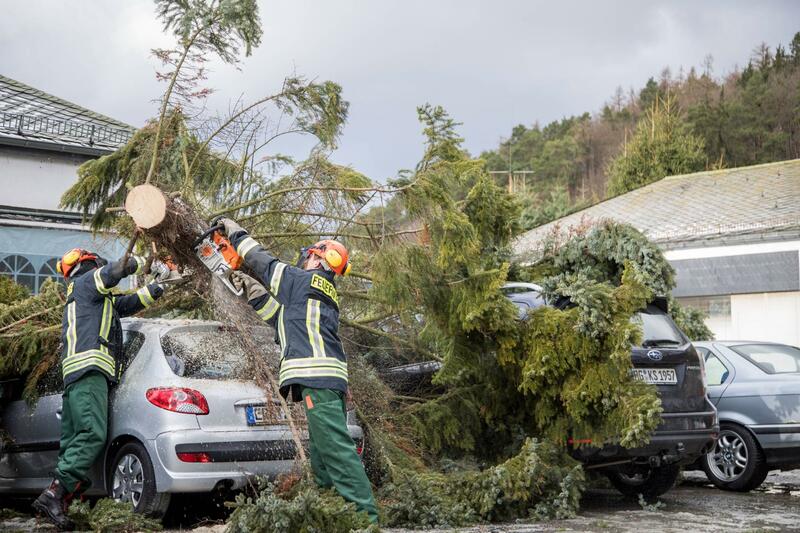 That’s second powerful storm within two weeks after deadly storm Eleanor swept across Switzerland, Germany, France, Ireland, Britain, Belgium and the Netherlands with 220 km/h winds beginning of this month. Keep inside!